You all know that I love to cook but sometimes, I just am too tired or busy to do so. Adalyn has been sleeping very poorly lately and at the end of the workday, I just don't feel like spending a long time in the kitchen. Meals have been whatever I can throw together quickly. I still try to keep it healthy because eating nutritious foods is important to my family. 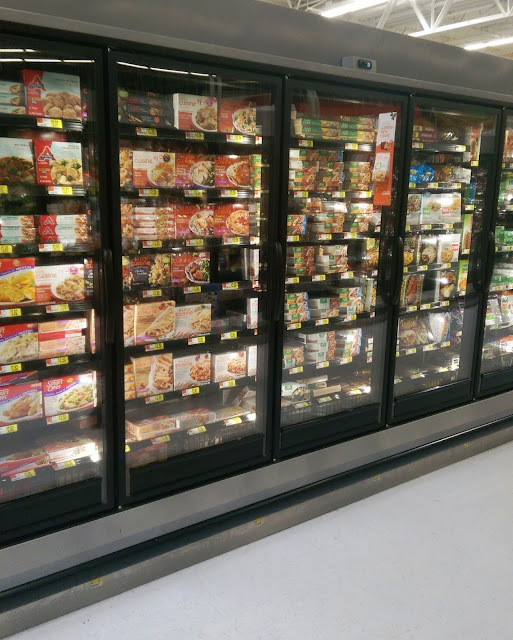 LEAN CUISINE® recently changed some of their products and now have gluten-free and protein packed options as well as meals with organic ingredient options. I love that they have organic varieties for those who prefer organic meals. For example, the Vermont white cheddar mac and cheese is made with organic pasta. For those who require a gluten-free diet, these would be great. I had had LEAN CUISINE® meals in the past when I was in college for a quick dinner. They are quite good! These are especially great for lunches at work. Troy loves having a meal for lunch as opposed to a sandwich a lot of times and these come in so many varieties that he would like. For a quick meal, these are great to throw in the microwave and have a hot meal ready go go. I could have used one yesterday when I forgot my lunch at home! I picked up the Marketplace Sweet Sriracha Braised Beef which is one of the new high protein varieties from LEAN CUISINE®. I love spicy foods and this was very good. I also tried the Spicy Beef and Bean Enchilada. We are an enchilada loving family and thought that these were tasty. I liked that they were filling and not unhealthy. This meal is from the new gluten-free line. I also purchased the organic Marketplace Mexican Spicy Black Beans and Rice but my husband took this meal to work before I could snap any photos- he loved it though! He said it was filling and flavorful. I went to Walmart to purchase some of the new LEAN CUISINE® meals. Some of the other options that LEAN CUISINE® came up with are: pomegranate chicken, cheese and bean enchilada verde, Vermont white cheddar mac and cheese, mushroom and spring pea risotto and more. These meals from LEAN CUISINE® were tasty and great for on-the-go.